Nashville to Lynchburg Day trip with pick-up and return to your hotel. 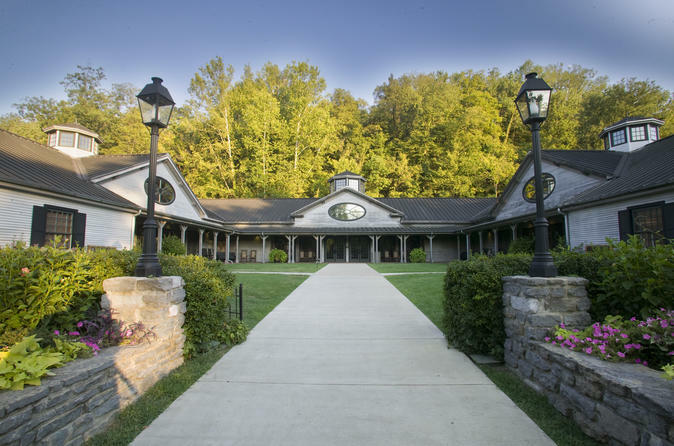 You will visit Jack Daniels Distillery and enjoy a tasting tour (must be 21 yrs old to taste. Children are allowed on the tour, but cannot taste.) Lunch is included at Miss Mary Bobo's Boarding House and free time to enjoy quaint downtown Lynchburg. Depart Nashville at 9am on a deluxe 14 passenger van for Lynchburg, TN. Visit America’s oldest registered distillery, The Jack Daniel Distillery. You’ll enjoy a guided tour to learn the science and the history of Jack Daniel’s craft including a tour of the rickyard, the stills, charcoal mellowing and a barrel house, to learn what makes Jack Daniel’s a Tennessee Whiskey. You’ll even get to taste a flight of five Tennessee whiskeys and liqueurs before it’s all over. Also while in Lynchburg, you’ll enjoy a family style lunch at Miss Mary Bobo’s Boarding House where they’ve been serving up southern hospitality and good home cooking since 1908. Located in the heart of Lynchburg, Tenn., just off the town square, it’s recognized as one of the South’s signature family-style dining restaurants. It possesses a history almost as rich as Miss Mary’s Fudge Pie and was built before Lynchburg became home to Jack Daniel’s Tennessee Whiskey. You’ll get to enjoy a little free time on the historic Lynchburg square before heading back to Nashville. Arrival back in Nashville by 5pm.